The East Dubuque Lions Club donated money for Thermal Hoods to the MDFD! 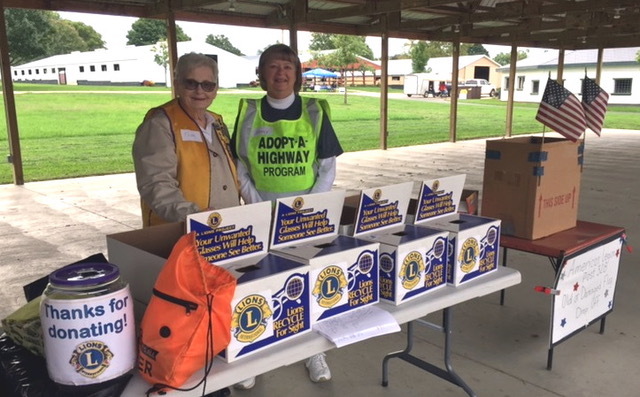 On Saturday, September 8th the Morrison Lions Club was the main sponsor of “Community Recycling Day 2018”. 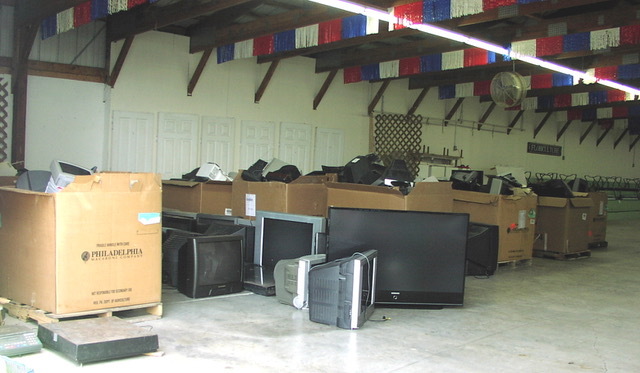 Besides the usual things Lions collect, we also collected tv’s and microwaves. Other partners collected paper, electronics, appliances, computers, scanners, keyboards, power tools, batteries, medicine, ammunition, flags and many other items. 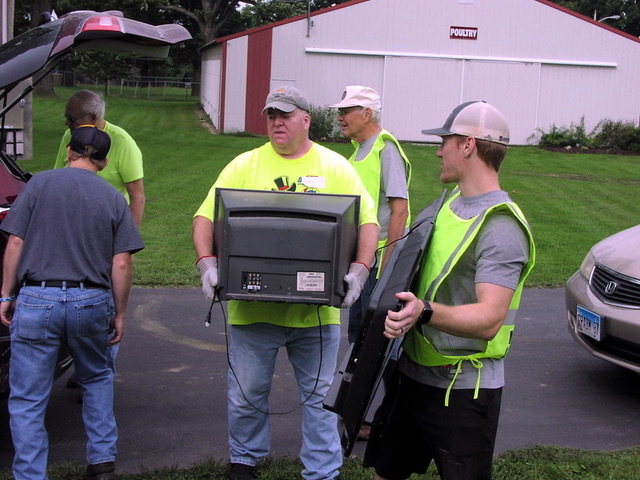 The day was a great success as a recycle day had not been recently held. Many people remarked how happy they were to see the recycle day come back. Over 250 cars passed through with items to recycle. It took a couple tries but they finally all dropped. Check it out! Also check out the photos both in the photo gallery and on the Facebook page from the Golf Outing. 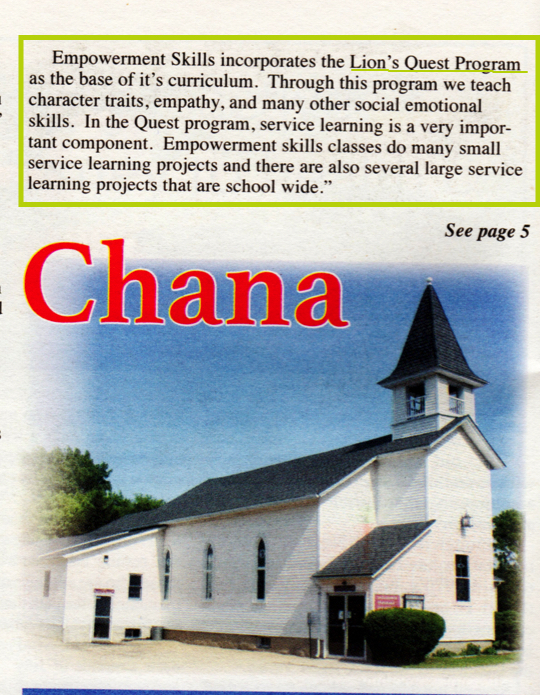 ​Check out what Lion's Quest is doing for Chana! We are getting ready to start a new Lions year and officers are being installed. 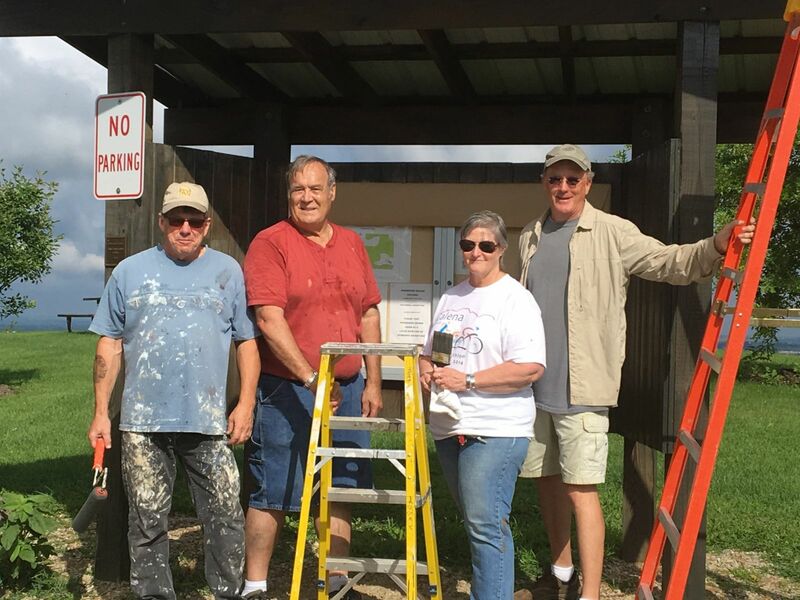 Click here to see the Lanark Lions Officers being "Knighted" into their positions.